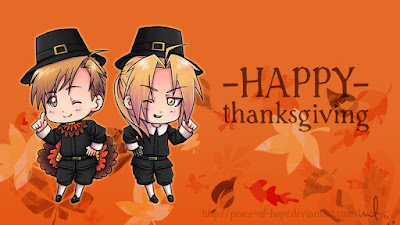 Propeller Anime: Happy Thanksgiving from Propeller Anime! 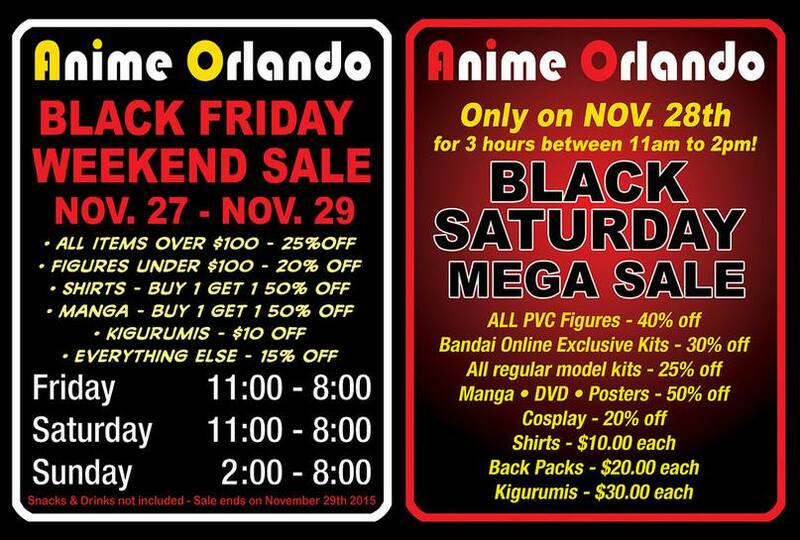 Our friends at Anime Orlando Inc are having big sales on Black Friday and Cyber Saturday. Holy cow, you could get some great shopping done for all you friends, figures, model kits, posters, apparel, cosplay, and more. And that SATURDAY Sale! 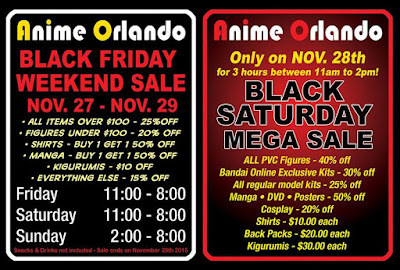 A Comic Shop is having their Blackest Friday sale with Buy 2, Get 1 Free on EVERYTHING in the store, plus cosplay photography, karaoke, and more! Cybertron Video Games in Winter Park is opening at 8:00am with doorbusters, Buy 2, Get 2 Free on used games from 8am to 10am, and a ton of other great deals after that you can read more about here. All these guys are sponsoring our upcoming Holiday Charity Party to benefit the foster families of One Hope United. There will be lots of fun and prizes and it will be a party for a great cause! Make sure you RSVP! 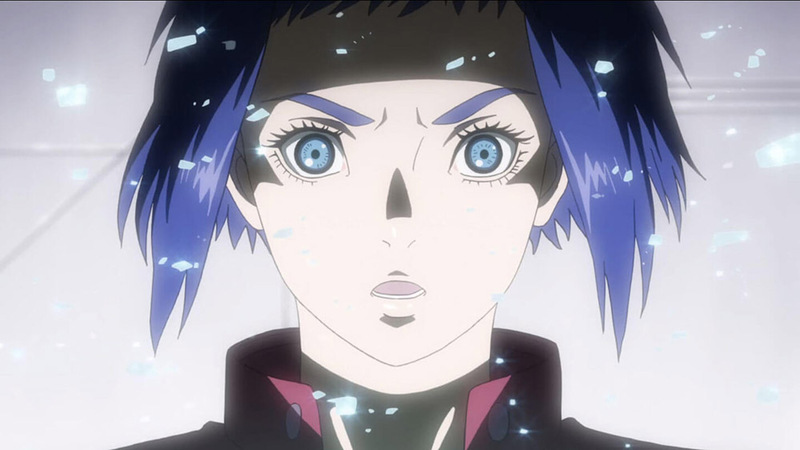 We just announced our next Anime Nite Orlando, which will be our last one of the year! Thursday,December 17th at Bikkuri Lounge! 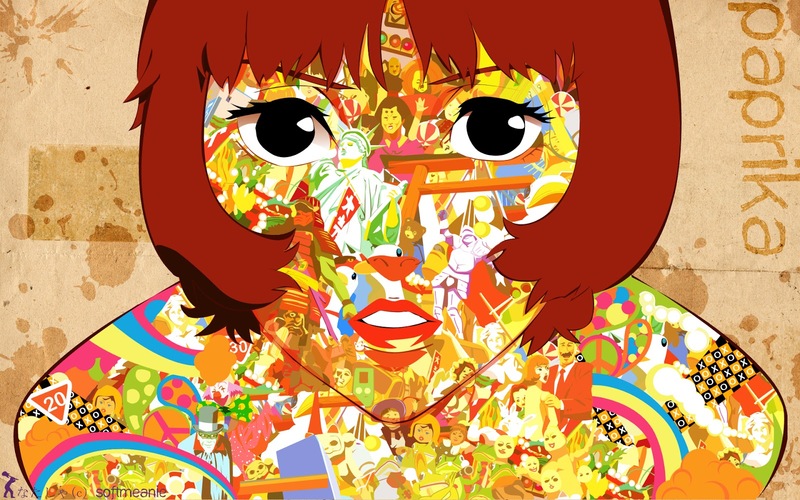 It's a double dose of the great director Satoshi Kon with Paprika and Tokyo Godfathers. You can RSVP right now! 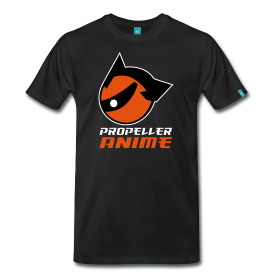 Recently we put out our 30th episode of Propeller Anime Radio, which is very exciting! Thank you all for listening. If you have not heard our latest episode, you can get it right here. 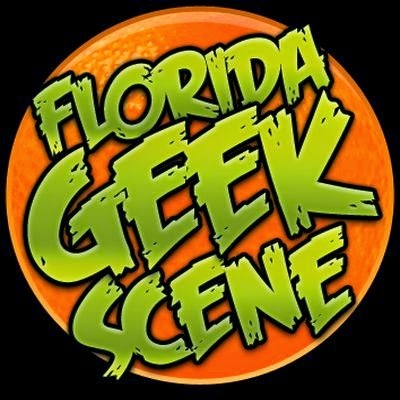 You can subscribe to all of episodes of iTunes and Stitcher Radio. Make sure you do that! Rate and review us, please! And while you are in the subscribing mood, if you want direct updates on everything we are doing, make sure you subscribe to our newsletter that we e-mail out at least once a month! 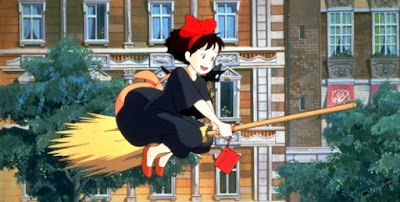 Last but not least, don't forget that this Sunday, November 29th, we're going to see Kiki's Delivery Service from Studio Ghibli at The Enzian Theater in Maitland. Make sure you get your tickets soon! That was a lot of info! We hope you digest it well with your Thanksgiving dinner! Enjoy your weekend. Have fun and we'll see you soon!